Divers and fishermen alike enjoy the excitement and diversity of Alabama’s Gulf and coastal waters. Both are wonderful sports and an excellent ways to experience waters, both familiar and new. To make your time on and in the water the best it can be, both for you and for those around you, please be courteous. Follow these simple guidelines to ensure a safe, enjoyable excursion. • Respect the space and intentions of those who arrive before you. The Gulf waters are vast. Let’s all give each other room to enjoy it. • Dive Flags are a must! • Divers, be aware that Alabama’s waters are extremely popular fishing areas. Give fishermen notice and protect yourself by always using a dive flag to mark your location. • Fishers, please be courteous when anchoring and casting and heed the warning that divers are below. 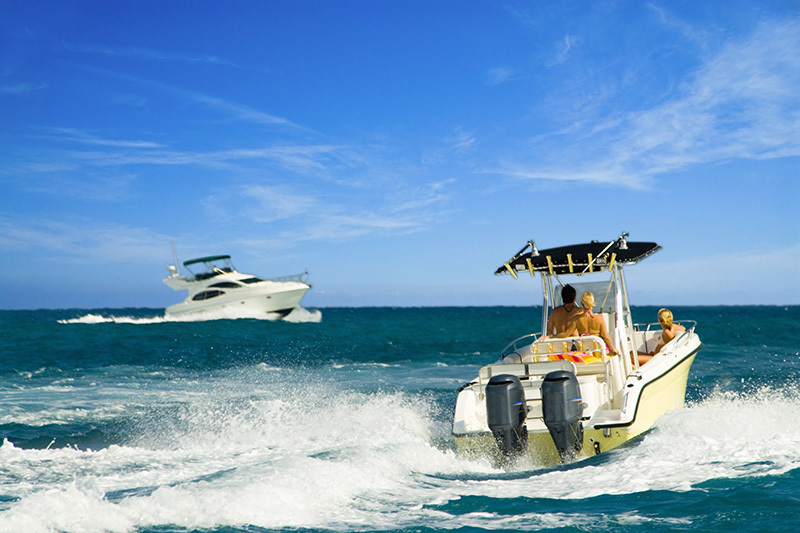 • Listen to the experts on your boat. The excellent dive masters and charter captains on Alabama’s Gulf Coast know the waters and the local regulations. Heed their warnings and take advantage of their vast experience. • Respect the habitat. Whether diving or casting, remember the natural habitat and artificial reefs here are home to the multitude of plants and animals that make up our biodiverse waterscape. Please don’t damage or remove parts of these structures. 1. Don’t pass in The Pass. If prudent, stay at idol speed. It is safer, and does not take that much longer. All of the inshore fishermen are sure to appreciate your slower speed. If you are the one catching bait in The Pass, and you kids or your parents are the ones being thrown around, you would be upset. Be kind to the other fishermen. 2. If there is a boat on a reef, leave them alone. You don’t want company on your favorite spot, neither do they. There are hundreds of reefs off Alabama and Florida. Be nice and go somewhere else. 4. Turn off your radar if there is someone on a spot where you are heading. You wouldn’t want someone to zap your locations. 5. Don’t “high grade” your fish. Culling your catch through discarding (waste) is destructive, environmentally unsound and violates the spirit of the regulations meant to help the populations. Fish big baits high up in the water. Keep the first two good red snapper, and let the others live to spawn. We will all be better off.